"Go get 'em today," Vermont Attorney General Bill Sorrell said on Wednesday morning to attorney Larry Robbins, as attorneys in pinstripes and dark suits milled about a courtroom in Burlington's federal courthouse. "Welcome to Vermont," Sorrell said to another, working his way down a row of attorneys taking their seats in the courtroom. What accounted for the sudden influx of out-of-state lawyers in Burlington today? 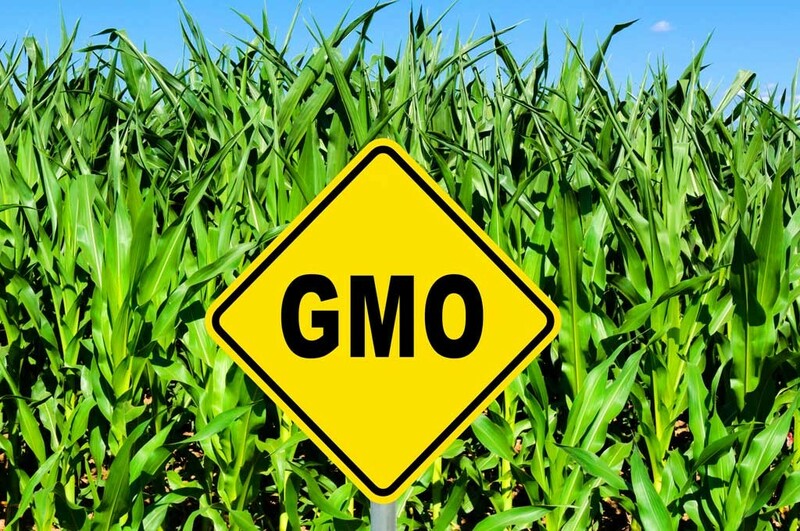 That would be Vermont's controversial Act 120, the law passed last spring that requires manufacturers to disclose the presence of genetically-engineered ingredients in foods. Signed by Gov. Peter Shumlin in May, the GMO labeling law is set to go into effect on July 1, 2016. If the law stands, it would make Vermont the first state in the country to require labeling of GE foods. Vermont's law cites estimates that as much as 80 percent of processed foods sold in the United States contained GE ingredients. Proponents knew a legal challenge to the law was all but guaranteed. It came in June, when four giants in the food industry — the Grocery Manufacturers Association, the Snack Food Association, the National Association of Manufacturers and the International Dairy Foods Association — filed suit against Shumlin, Sorrell and other state officials. The plaintiffs argue, among other things, that the labeling requirement is unconstitutional, violating the First Amendment by forcing companies to make statements they don't wish to make. The plaintiffs also argue that Vermont's law violates interstate commerce rules. It will likely be months before Judge Christina Reiss either upholds or rejects those claims, but Wednesday's oral arguments — which focused on Vermont's motion to dismiss the case, and the plaintiffs' request for a temporary injunction barring the implementation of the law — could offer a window into some of the legal nuances that could shape Reiss's decision. Reiss said early on that she's confident her job isn't to judge the merits of GE foods. (The plaintiffs maintain there's scientific consensus that GE ingredients are safe, while Vermont's labeling law says GE organisms "potentially pose risks to health, safety, agriculture and the environment.") Instead, her job is to determine whether the law stands up in court. That will depend on legal precedent, and the two sides spent much of Wednesday arguing over the case law they think best supports their position and discredits the opposing side. Both regularly cited two First Amendment standards — the less stringent Zauderer precedent, derived from a 1985 case, or the Central Hudson test, which comes from a 1980 case. Both deal with the government's power to regulate the commercial "speech" of companies. The plaintiffs drew frequent comparisons between the GE labeling law and Vermont's unsuccessful attempt in 1994 to require labels indicating whether milk came from cows treated with the growth hormone rBST. The U.S. Court of Appeals for the Second Circuit ultimately struck down the law, finding that solely satisfying consumer curiosity isn't reason enough to require a manufacturer to make statements — even factual ones — they don't wish to make. Vermont fended off another lawsuit a few years later, after passing a mercury labeling law in 1998. That time, Vermont was able to prove that it was motivated by concerns over the health and safety impacts of mercury in light bulbs, batteries and other products. Both instances came up repeatedly on Wednesday, as did a case stemming from New York City's requirement that restaurant chains to disclose the calorie counts of items on their menus. Industry groups sued, but weren't successful in blocking the law. Robbins argued strenuously that Vermont's law is constitutional. "Having lost in the legislative arena ... [the opponents] come to this court with constitutional arguments that simply don't fit," Robbins said. On the other side of the courtroom, attorney Catherine Stetson countered that Vermont's law is merely about satisfying the vocal opponents of genetic engineering. "The theme of [Robbins's] argument is, 'Give the people what they want,'" said Stetson — a point that seemed to hold merit with Reiss, who added a few minutes later, "I think there is a fair argument, and maybe more than that, that this is about consumer curiosity and nothing more." Stetson also argued that the Vermont law is invalid because of "preemption" — that is, the notion that Vermont has set itself at odds with the federal framework that explains how various federal agencies should deal with GE organisms. Another point of contention on Wednesday revolved around a clause in the Vermont law that would prohibit foods including GE ingredients from being marketed as "natural" or "naturally made." The law doesn't include a definition of what "natural" is, though, and Reiss pushed hard against Robbins on that point. If genetic engineering isn't "natural," she posited, what about other advances in agriculture such as fertilizers, chemical herbicides and pesticides or hydroponic operations? And finally, Reiss circled repeatedly back to a big-picture concern: What might happen if manufacturers opted solely to say on labels that foods "may" contain GE ingredients? Would Vermont's labeling law actually achieve the purposes it set out to achieve? There was some patently good news for the supporters of Vermont's law on Wednesday. Reiss ruled early on to reject a motion from the plaintiffs that would have a struck briefs from the Center for Food Safety and Vermont Public Interest Group from the record. The two other motions — the calls for dismissal, and an injunction — didn't reach any resolution, though Reiss thanked both sides for offering her "lots to think about." After the hearing, Sorrell said Reiss had "tough questions" for both sides. "I think both sides can say we got our day in court," he said. It's likely to be followed by more. Sorrell said today's arguments — and Reiss' opinions on the two motions — will serve as "the standard by which you go into battle," giving litigants some glimpse into what the judge is thinking about their arguments. In the meantime, work continues on translating the GE labeling law into the rule by which the law will be enforced. The AG's office released a final draft of that rule last month, and will be taking public comment on the rule through January 28. Sorrell said that case is being watched closely, nationally and internationally. "By and large, the average American, not just the average Vermonter, wants to know this information, and it's not just out of idle curiosity," said Sorrell. That interest is even prompting some donations. The fund organized to collect donations for the law's defense — nicknamed the Food Fight Fund — has pulled in roughly $400,000. But the AG's office isn't about to be "penny wise and pound foolish," Sorrell said; the state's contract with Robbins' D.C.-based law firm is worth nearly $1.5 million. If the state loses the suit, it will be on the hook for paying the opposing side's attorney fees, which could drive the total cost to the state up to $5 million. Neil Young Coming to VT!